How does this site save me money? Will this site work for ME? Whether you want to date outside your race exclusively or just expand your options, our intercultural and interracial dating site is here to take the guesswork out of this process. You’ll know right away if someone is open to it! We let you focus on the things you really need in a romantic partner or friend, so you can find the relationship you really want. That’s why our site has grown so much over the last 16 years — what we offer is special. With so many members who find differences as alluring as commonalities, the odds are good you’ll spot someone who interests you. And every day there are plenty of new faces around here! We hope you’ll be another one of our success stories. Many people hear about us by word of mouth and our membership grows by hundreds of thousands each year. Countless happy couples have shared their success stories with us, their friends, and their families. That’s the best way to spread the word that love happens here, every day. Our mission is very personal. Many of us on the Interracial Dating Team are in these relationships ourselves! We started this site to help singles connect with people they might not meet otherwise, for friendship and — with luck — true love. By bringing together so many folks of different backgrounds, we try in our own small way to make the world a more loving, tolerant and respectful place. Join us in "Bringing Together The Human Race". Interracial dating is dating between people from a different race or culture. When many people think of interracial dating they think of a black woman and a white man or visa versa. This isn't all that interracial dating is about. Interracial dating can also be about dating someone from a different cultural background than your own. ...of people of a different race. So whether you're interested in dating Latinos, Greeks, Asians, Jamaicans, Fijians, Afro-Americans or Europeans... chances are that you ARE interested in dating interracially and never knew it! So are you ready to start dating interracially? It's really very easy. Just follow a few simple steps and you'll be chatting to potential love matches in no time at all. Run as many searches and look at as many profiles as your heart desires. Create your FREE profile with photos and fun details and start flirting and replying to messages. Subscribe, see who's interested in you and send out new messages. The site offers you a fun and secure environment to meet other quality singles who are looking to date interracially. You can find out about each other and anonymously communicate without revealing your personal details… until you are ready. We also really value your committment to finding love which is why we set ourselves apart from the other big dating sites by allowing to view and reply to messages you get sent from members. WIth other sites this is a ‘paid for’ option which means that you have no idea whether a potential match doesn’t want to reply or, because they are only a FREE member cannot reply. Our success stories prove we are a great place to build loving and trusting friendships that can lead to lasting, relationships and marriage. It's up to you … you decide when to correspond online or meet offline. If you've ever been rejected because you were the wrong "color" or you were always too shy to approach someone from a different race or culture to your own, then you don't have to worry about that here. All our members are open to interracial dating and when you approach someone on our site you never have to worry that you are "the wrong race". Stop wasting your time on websites connecting you with people who don't even want to date interracially. Now you've found us, reward yourself by connecting with good looking singles who ALL want to date interracially. No matter how many friends you have or how popular you think you are there’s a limit to how many ‘new’ single people you will meet. Online dating is available to everybody with an internet connection and there are millions of single people (just like you) looking for other single people (just like you). In the US alone the population is approximately 311 million. There are almost 54 million adult singles of which around 8.8 million have tried online dating. Around 53% of the Online dating poulation are men compared to 43% women. These means that there is around 4.66 million men floating around online dating services and 4.13 million women and all of them are there purely to meet someone like you. ie single and looking for love. Online dating is becoming such a part of the social scene that 1 in 5 people in a committed relationship in the US met on an online dating site. Now if you're still stuck in that old fashioned way of thinking, "let's just go down to the local bar", it may be of some interest to you to know that only 9% of women and 2% of men say that they've actually found a relationship at a bar. These days, many people are time poor and have a hectic life juggling their jobs, children and day to day life. Online dating is a great way to find someone when YOU are ready and you have the added safety of knowing all your personal details remain private unless you are ready to take that extra step. Many couples who may never have otherwise met are married and have children thanks to online dating (If you don't believe it...just look at these success stories). Online dating has been around for over a decade. Many couples who may never have met otherwise are now married and have children thanks to it. There are many things that make online dating a practical alternative to spending the night in a smoky bar full of strangers. These days, many people are time poor and have a hectic life juggling their jobs, children and day to day life. Online dating is a great way to find someone when YOU are ready and you have the added safety of knowing all your personal details remain private until you are ready to take that extra step. We do as much as we can to protect your safety online. However there are things you can do to protect your own safety and make sure your experience is as fun as it can be. We’ve created a safety checklist. By following these simple steps your dating experience should be successful, rewarding and as safe as houses. Here’s a really important statistic you’ll need to know before we explain how you will save money on the site. I think you can clearly see where we are going with this. We’re not saying everybody is looking for marriage but it just goes to show you that you get to know each other much better online before you commit to meeting each other. How many times have you wondered if someone you're attracted to of a different race may be interested in you too? On our site, every single person is already here because they want to do exactly that - date someone outside their own race. So, you won't waste your time approaching someone only to be rejected because you weren't the right "color". I know you are probably thinking well how does that actually save me money? Just think about how much having just one date may cost you? There is the expense of gas, a few drinks, dinner, a movie, maybe even a new outfit... and that's just for the first date! How many of those sorts of dates will you have before you are ready to go to the next level? On our site you can get to know everything about someone and more importantly, how right they are for you without ever meeting face to face. And it's not just one person...you can be in contact with tons of singles at once for less than a $1 a day! So, you decide. You can go hang out in a smoky bar and hand out your phone number to a complete stranger...you can have your friends hook you up with someone on one of those dreaded "blind dates"...or you can save yourself time and money by checking out thousands of singles in one place, all of them wanting to date interracially! True friends are supportive of any relationship you have as long as you are happy. If your friends seem to be apprehensive in the beginning, often it is purely because of the unknown … but once they get to know the person … and realize they are human too, the race becomes secondary to the person. Q: What do the President of the United States, the world's former best golfer and the captain of the New York Yankees have in common besides celebrity? 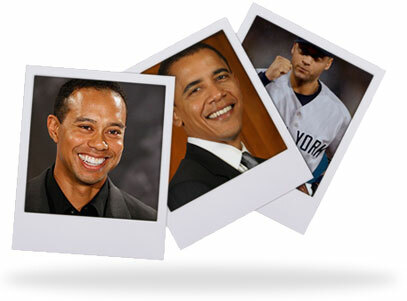 A: Barack Obama, Tiger Woods and Derek Jeter are all children from an interracial marriage. Factoring in all racial combinations, Stanford University sociologist Michael Rosenfeld calculates that more than 7% of America's 59 million married couples in 2005 were interracial, compared to less than 2% in 1970. Not only that but a Gallup Poll on interracial dating in June 2006 found that 95% of 18 to 29 year-olds approve of interracial dating and about 60% of that age group said they have dated someone of a different race. Some friends may find it a hard to ever accept that you want to date interracially, that's ok too. It's YOUR preference not theirs. The best way to handle this is to date who you want to date and remind people that we are all one race … the human race. That’s a question that everybody who joins an online dating site asks. We can’t give any 100% guarantee’s but if you were to ask all these people then they’d say we’re probably the best dating site in the world ever. As with anything, the more effort you put in the more you will ultimately get out of it. If you are honest about what you are looking for, open in your approach and are realistic in your goals then you will succeed. It also depends on how exactly you measure your success. Some of our members have made lifetime friendships and become part of our online community without necessarily becoming a romantic "success story". Their success is the fun and friendships they have had while being a site member. EVERY one of our success stories are real and the vast majority of them were between at least one VIP Subscribed member. They succeeded because they invested in themselves to become a success and find that special someone. They upgraded to VIP and found they had more choices, more opportunities and more ways to make a connection with the person THEY were interested in. They set their goal and they achieved it. We can't promise you that you will be a success story … but we can promise you hundreds of thousands of singles who want to date interracially … isn't that why you are here? Don't you owe it to yourself and to your future happiness to do everything you possibly can, to succeed in finding your special someone?